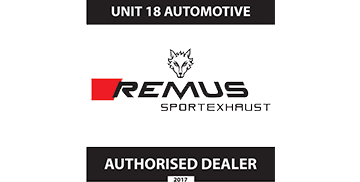 Unit18 began life as an independent Volkswagen service centre offering cut priced motoring solutions, and we’re still proud to do so! We provide a VW servicing and maintenance services that meet the exact requirements as laid out by Volkswagen. As an independent Volkswagen service centre in Milton Keynes, we have worked with a number of models, both past and present. Our team of experienced vehicle technicians specialise in Volkswagen and are one of only a select few recommended independent garages across Milton Keynes. Our VW service in Milton Keynes complies fully with VW’s servicing requirements. Any parts that are needed are always of manufacturer quality and come from one of our approved list of VW part suppliers. We can also provide your vehicle with its annual MOT. Our VW MOT in Milton Keynes goes through the exact same vigorous analytical process that it would in any national servicing and MOT centre – we simply remove the expensive costs that come with it. As we have mentioned previously, any parts that are needed for repairs are only of OEM quality and are sourced from approved VW suppliers. "Very well priced and a lot easier to book than the local dealership, I called a week before and booking was not a problem with plenty of slots available."